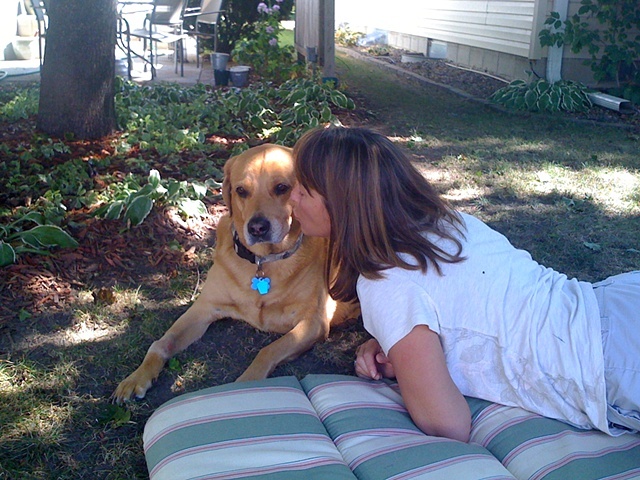 In August of 2009, just hours before leaving for our annual houseboat trip in Canada, Jake our 10 year old yellow lab, was diagnosed with bone cancer. The cancer progressed quickly but Jake rallied and he was able to have one last adventure in the Northwoods. It was a blessing that his time in pain was brief. Four weeks later he was gone. The picture was taken in our backyard minutes before the vet came to perform the euthanization. Jake went peacefully surrounded by his family.